In all the pregame talk about an offensive showcase, we all forgot about how defense might be critical for the winning team in this important Patriot League Lehigh and Colgate clash. 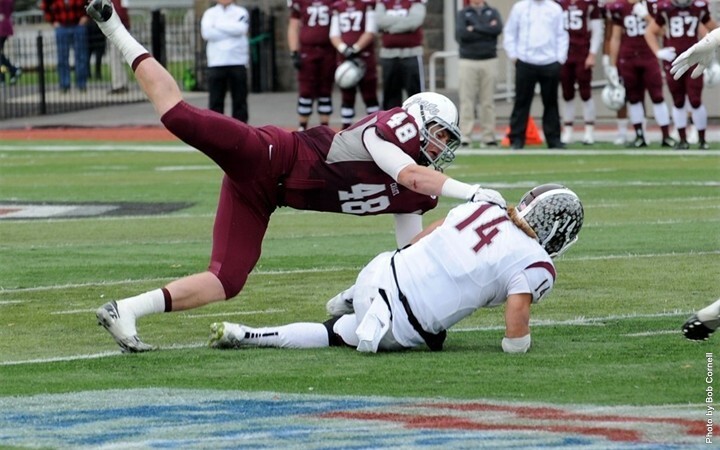 Many saw the previous box scores and just assumed that Colgate’s powerful offense, who put up more than 50 on Yale, would do something similar to the Mountain Hawks defense. After a 75 yard touchdown run by Colgate QB Jake Melville to start the game, the Lehigh defense forced two enormous turnovers, including a forced fumble by sophomore SS Sam McCloskey that was recovered by freshman FS Riley O’Neil on Colgate’s first drive of the second half. The play would allow Lehigh to tie it up with a 25 yard FG by sophomore PK Ed Mish, and it would fire off a string of 17 unanswered points that would give Lehigh a 31-17 lead that they would never relinquish. With all the offense, with all the touchdowns, with all the passing yards by junior QB Nick Shafnisky, all the rushing yards from freshman RB Dominick Bragalone, all the plays, all the yards of offense gained, and allowed, it came down to five yards. 1st and goal at the five. A minute to play. Five yards from the end zone, five yards from the opportunity to come from behind and make the score 49-48, and then to have freshman PK Ed Mish trot out and attempt the game-typing extra point, to tie the score for the seventh time on the afternoon, or possibly try a two-point conversion to get the win. Five. Yards. It came down to four shots from five lousy yards. The game was a thriller. A classic. Both Colgate, who would clinch a share of the Patriot League championship today, and Lehigh, who wouldn’t, were incredibly evenly matched. Every time Colgate scored, Lehigh responded with a touchdown of their own, never trailing by more than a score, but never leading, either. It was a street fight down to the last minute. To the last five yards. And Colgate won that street fight. 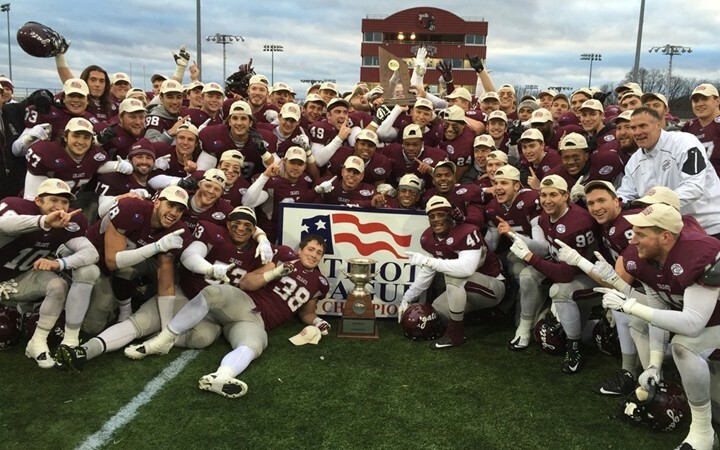 Since they stopped the Mountain Hawks from getting those last five yards, they are now the champs.